The Internet connection and speed you choose for your business depends largely on several factors. In addition to speed and cost, you should also consider reliability, consistency and security. Keep in mind that pricing and availability vary greatly on location. Your Internet Service Provider (ISP) can advise you of the best and cost effective options. What is your Internet being used for / what is your current usage? Does your company / staff use a lot of video and audio applications? Video and audio files are large, and transmitting them over a network uses a lot of bandwidth. As your company looks to use multimedia, it is important that you have adequate bandwidth to manage these large files. Do you use, or plan to use cloud solutions in the near future? When you are accessing cloud services, you will require a more robust Internet connection. Do you use, or plan to switch to VoIP? VoIP stands for Voice over Internet Protocol, and is commonly referred to as Internet phone service. VoIP technology allows users to make and receive calls using a high-speed Internet connection instead of a standard landline. When making or receiving a VoIP call, sound (voice) quality can be affected if not enough bandwidth is available. On average, each phone call will consume about 88kbps of upload and download bandwidth. Not enough bandwidth may cause choppy or garbled calls and delayed audio. DSL can satisfy most home offices and small businesses, but for companies that require more speed and reliability, an Integrated T1 is a more practical and cost effective option. It is highly flexible and could be used to run multiple services (such as voice and data) over the same line. If you are connecting two or more locations, most companies opt for a Point-to-Point Private Line or MPLS network not only for cost purposes, but for security and reliability. Here is a breakdown of some of the advantages of each type of Internet circuit. Your Internet Service Provider can discuss the most viable and cost effective options with you based on your requirements. Speak with an Internet Specialist now. Dedicated Internet Access provides congestion-free transmissions with speeds that range from 1.5 Mbps - 10 Gbps. DIA is a perfect solution for those businesses that require reliable Internet connectivity, but still want to leverage the cost advantages of using the public Internet. Get high-performance network quality and availability with service level agreements (SLAs). Manage costs for service provisioning, bandwidth changes, and site development. MPLS offers customers a great deal of adaptability when it comes to network set up because it allows them to mix and match access types and speeds for each of their individual locations. This offers a significant cost savings, 10% to 25% over comparable data services (frame relay and ATM); and almost 40% for companies who add voice and video traffic. A VPN keeps data safe as it crosses the public Internet by using encryption. 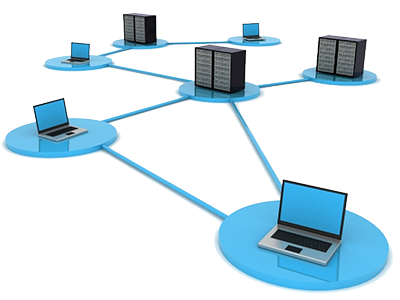 A MPLS VPN refers to a virtual private network that is built on top of a multiprotocol label switching network. MPLS VPN is deployed to create a secure connection between branch offices at different geographical locations. Cost savings – Perfect for multi-location businesses and enterprises. MPLS allows for multiple access types and speeds for each of your individual locations to deliver the most cost effective Internet solution while maintaining performance, reliability, and security. Flexible Routing – Customers can choose a CPE and managed router services, or they can maintain control over their own routing. Improved performance – MPLS offers Class of Service (CoS) and Quality of Service (QoS) network-wide routing based on individual business requirements. Data can be split into different categories such as real time traffic, priority traffic, and low priority traffic. SLA-Backed - Customers receive 99.9% uptime, network availability, packet delivery, latency, and jitter guarantees. Private lines provide high-speed dedicated point-to-point connectivity for voice, data, and video applications. Private lines serve as secure options for companies looking to connect to the Internet, connect multiple locations, or interconnect data centers. Have questions, or would like a free quote, call 888-TOUCHTONE or e-mail sales@touchtone.net.